I’ve always been a gin girl at heart. Sometimes vodka. (Nicky calls this my clear liquid diet.) But with the onset of cool weather, it seemed a good time to explore some of the new fall drinks featuring bourbon and rye whiskey. The bourbon tour began with a trip to Glenwood one evening for drinks at The Shed, a great neighborhood spot with a fresh farm-to-table approach to food and drink. 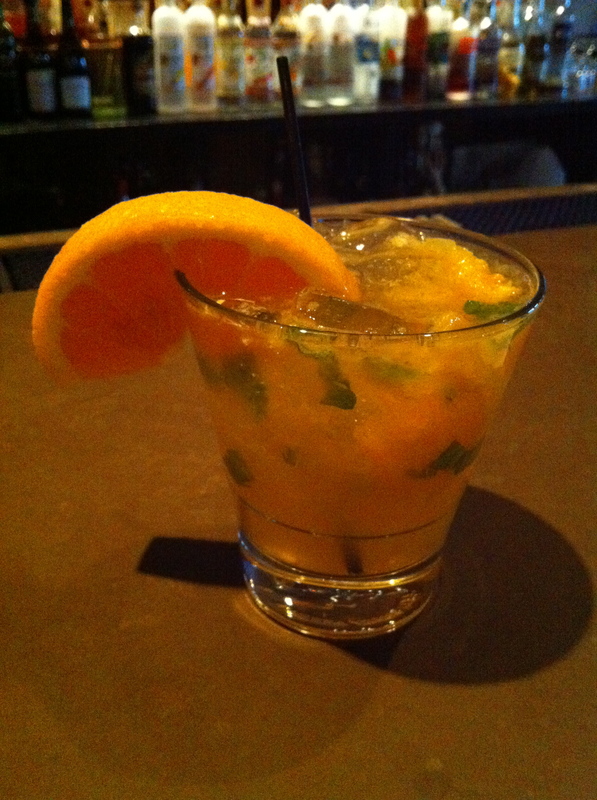 This is where I fell in love with my new favorite drink that I’m now making home far too often: the Orange Basil Julep. Working on the premise of a basic mint julep, this drink begins by muddling some orange, basil leaves, and sugar then adding Four Roses bourbon (my choice) and soda water. Amazing. Nicky had The Patriot Crye; a mix of Overhalt rye whiskey, granny smith apples, and sage. 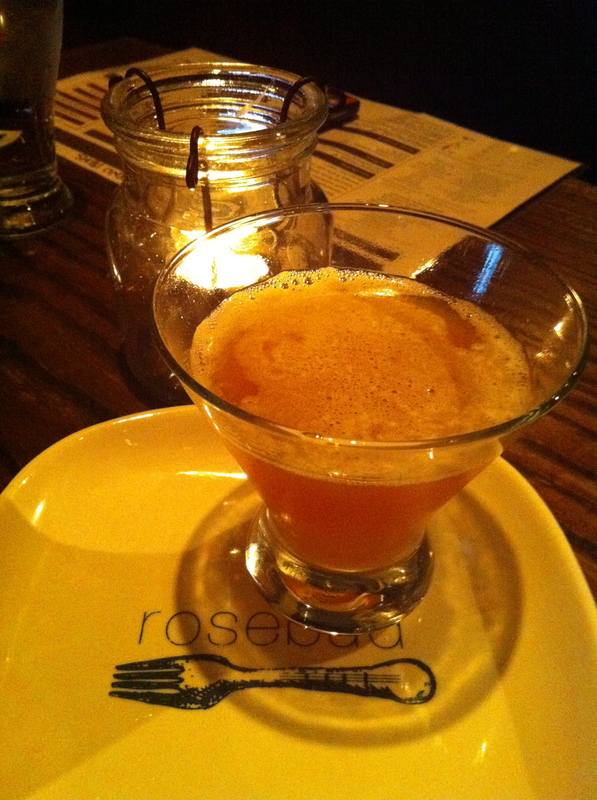 The granny smith apples were stored with sage leaves, but the bartender forgot to add sage itself to the drink. May have been a good thing, as the thought of strong sage seems too much. 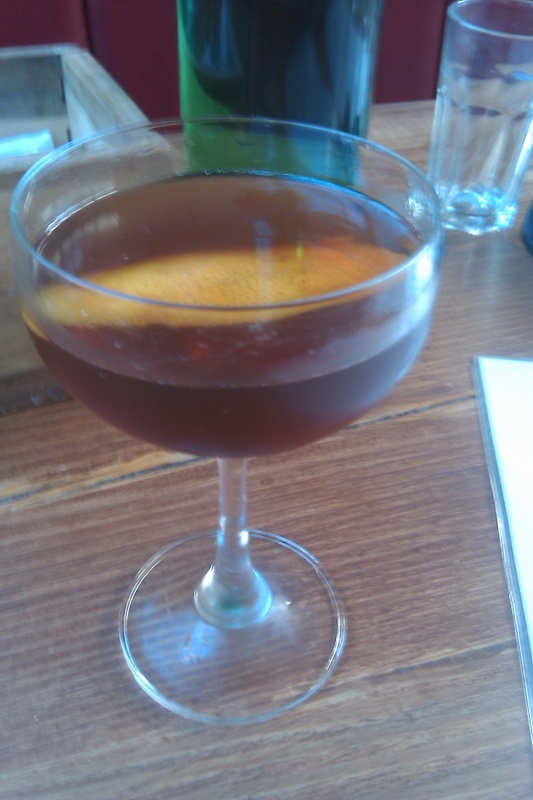 It was a rather simple, but good drink. We had a wonderful visit to Rosebud where our server and bartender were more than willing to assist in our bourbon research. I started out with “The John Chapman.” The JC blends Four Roses bourbon, sparkling apple cider (of course), lemon, ginger liqueur, Carpano Antica, and sorghum syrup. My fear was that the cider and sorghum may make it too sweet for my taste, but that wasn’t the case. It was a smooth blend with the ginger and somewhat spicy Carpano Antica providing the perfect balance to the cider and sorghum. We asked for the bartender to go off-menu for my second drink and just surprise me with something. The result was a great mix of High West whiskey, fresh lemon juice, and sparkling cider served over ice. Loved it. Great ideas, creative concoctions. I’m now ready for fall and some play time at home with some bourbon and rye!